I’m all about making life easy, especially for families where it seems multiple meals are often made to address all family requirements. 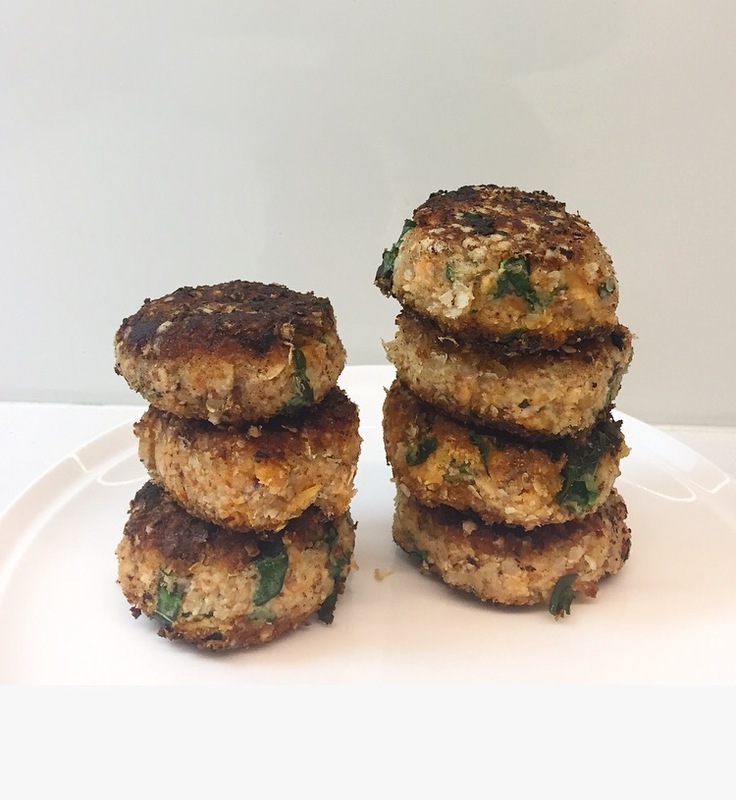 These salmon & sweet potato patties (better word?) are gluten-free, dairy-free, meat-free & can easily be nut-free. They use basic ingredients which I would bet you already have at home. If you are nut-free, you can use all quinoa flakes. You could also use a standard breadcrumb if you’re not fussed about gluten. If you don’t have quinoa flakes, you could use all almond meal. 5. If you’re using thyme &/or kale, you can just use some kitchen scissors & chop it straight into the mixing bowl. 10. Put all the patties on a plate & throw in the fridge for at least 1 hour so they set. Any sooner & they may fall apart. This entry was posted in Recipe and tagged dairy free, easy dinner, easy kids meals, family dinner, gluten free, healthy kids, iqs, jerf, kids meals, lemon, less than 10 ingredients, low fructose, low sugar, nutritious dinners, pescetarian, salmon, staple ingredients, sweet potato, sweet potato and salmon patty by 6 Clean Ingredients. Bookmark the permalink.